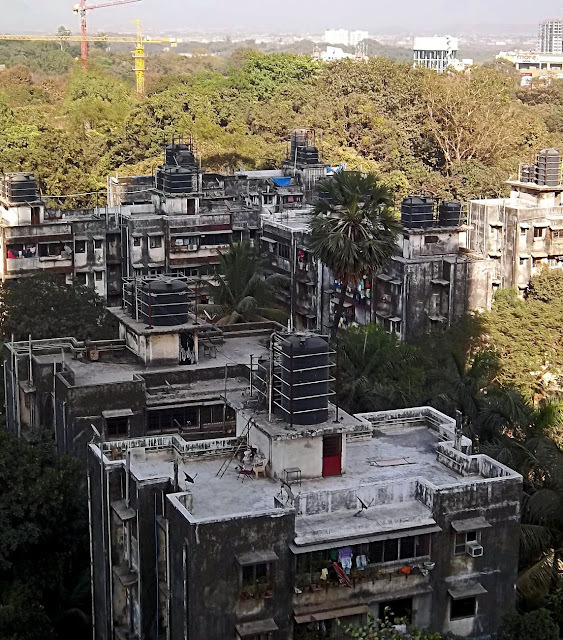 The Indian city skyline is dotted with small and large syntex tanks. 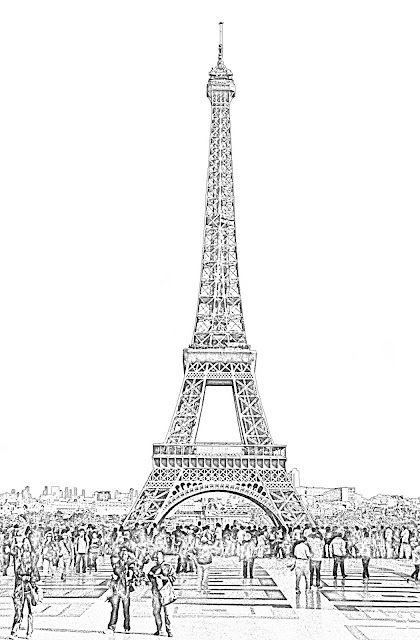 It is an uglification of the cities, but with an important purpose. 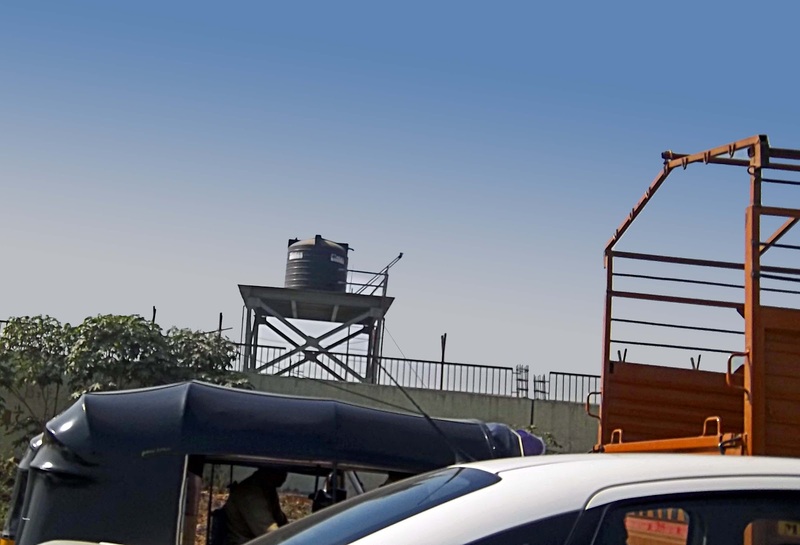 The municipality supplies water only at certain hours of the day and this supply is also shut down for repairs at times. More often, the water mafia slows or shuts down the supplies, accepting bribes to improve the supply. Ground level civic employees or chabiwalas hold the key to the water and they are exploiting it to the hilt, causing a water shortage in residential areas. That is why most households are forced to store water. In any case municipal water does not have enough force for it to climb up, making overhead tanks a necessity. 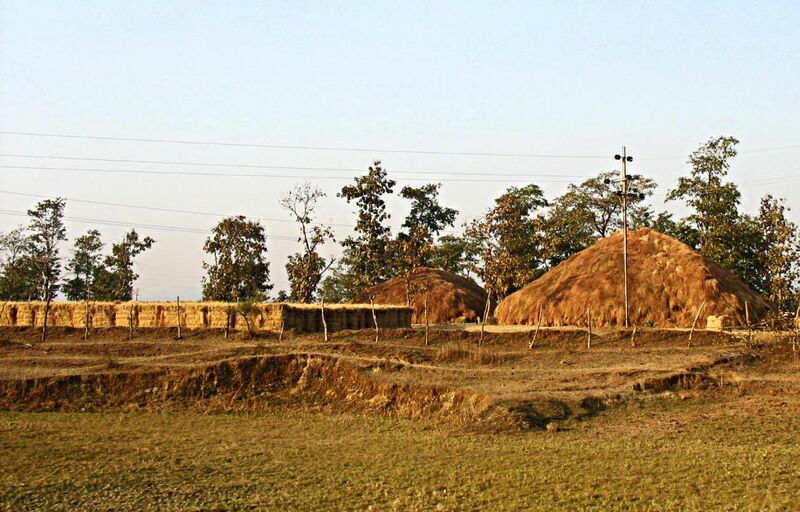 A view of the syntex tanks dotting the landscape. 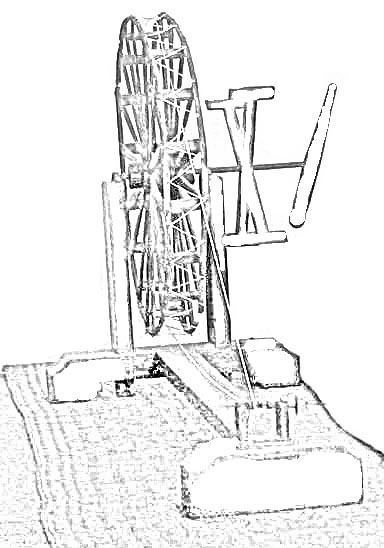 In the background, to the right, you can see large overhead tanks. A pity that water management is riddled with inefficiency and corruption. 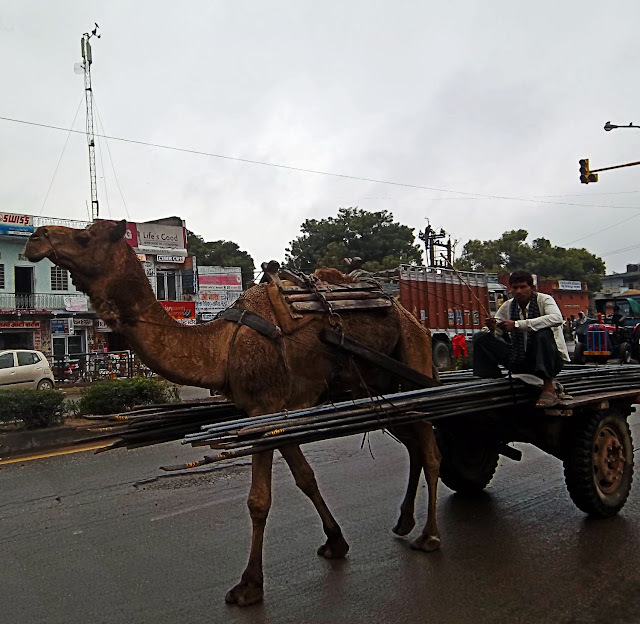 Animals are used in India to transport goods. One expects this in rural India, but this happens in cities as well although it is not very common. 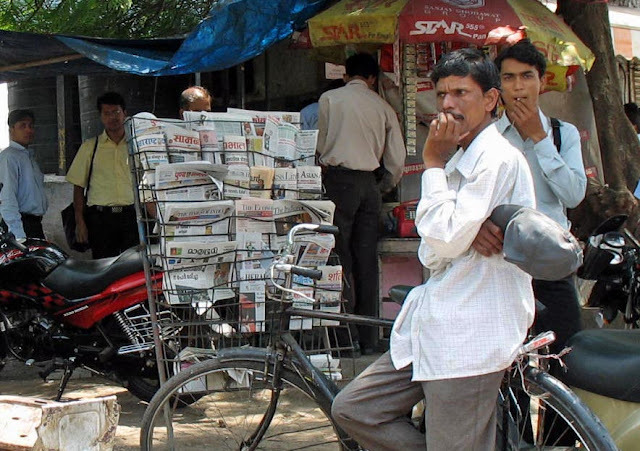 Common methods of city transport (for goods) are trucks, tempos and auto rickshaws. Here are two examples of animals ferrying goods in cities. 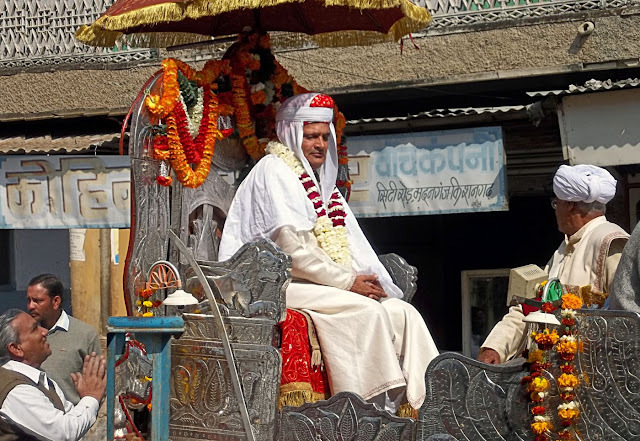 This picture is taken in the state of Rajasthan, India. A camel cart is pulling steel pipes on a city road. 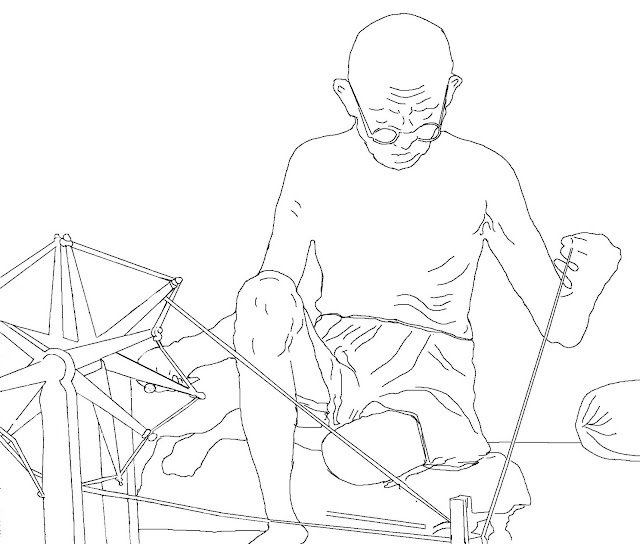 The driver of the cart is sitting and holding a stick to drive the camel which has a harness. 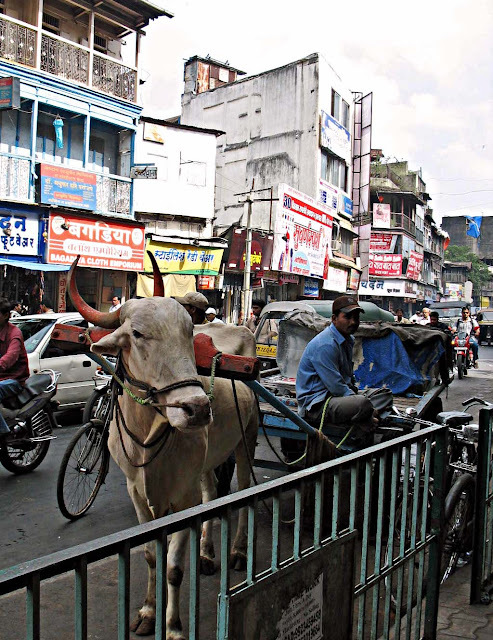 Here is a man driving a large cart pulled by a bull on a crowded city street in Pune, Maharashtra. 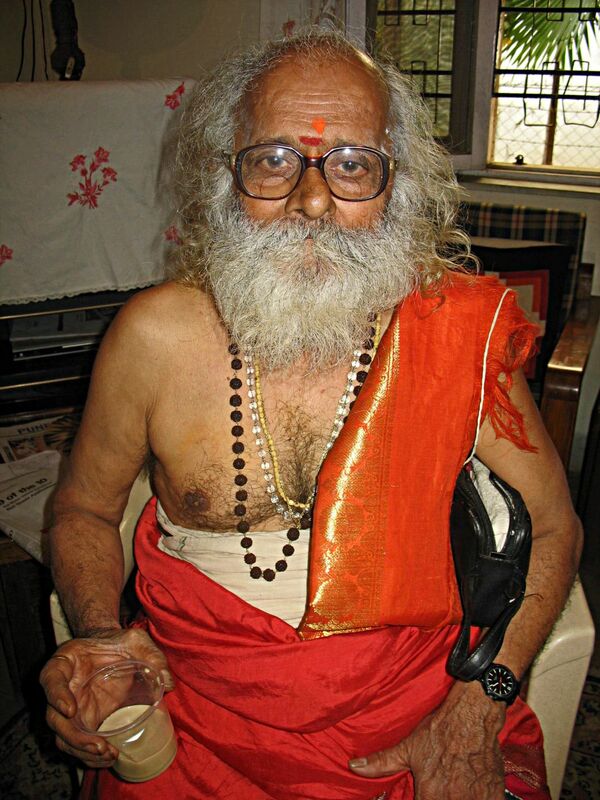 In the photo he is at rest. At the back of his cart some material is covered by tarpaulin. The bull in the photo below looks quite majestic despite it being underfed, and is looking at the camera directly. His horns are painted red. 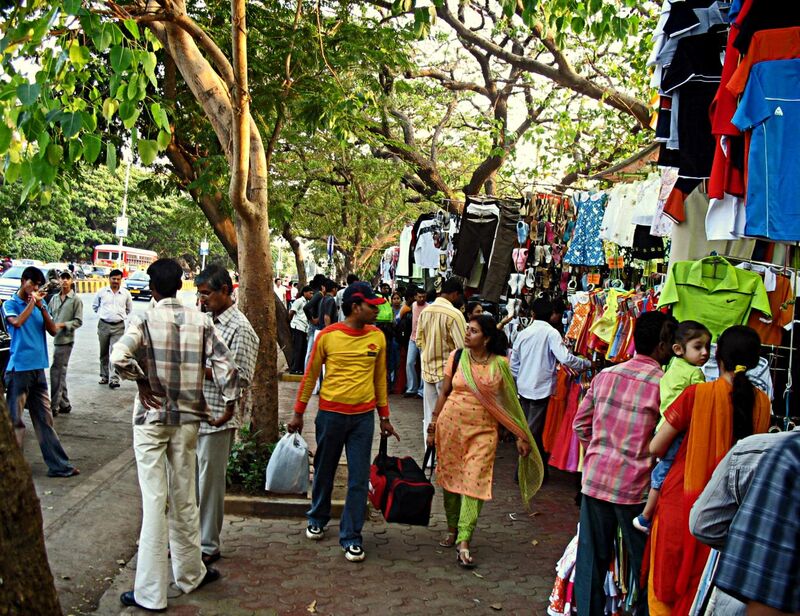 It's not frequented by the hip crowd but you can pick up some inexpensive and smart ready-mades at Fashion Street in South Mumbai. You might find some foreign tourists here looking for cheap cotton ready-mades but mostly you find the middle classes here. 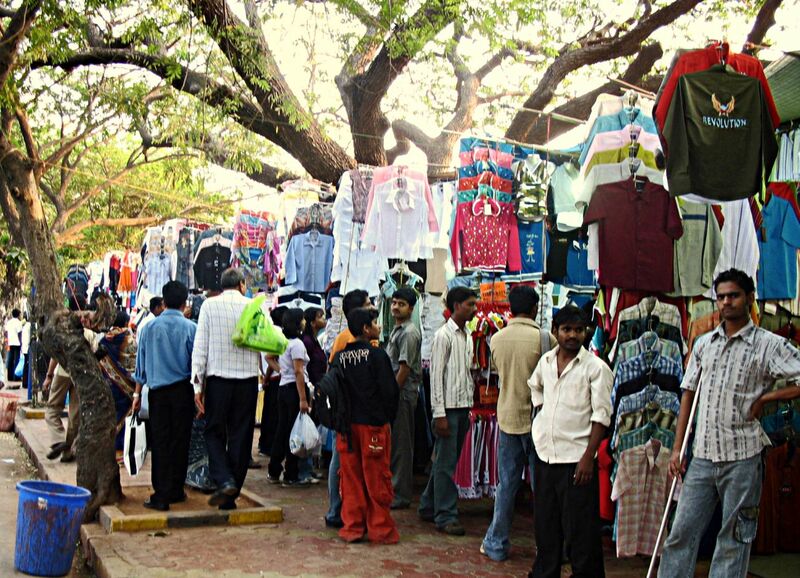 Some of these clothes are export rejects. 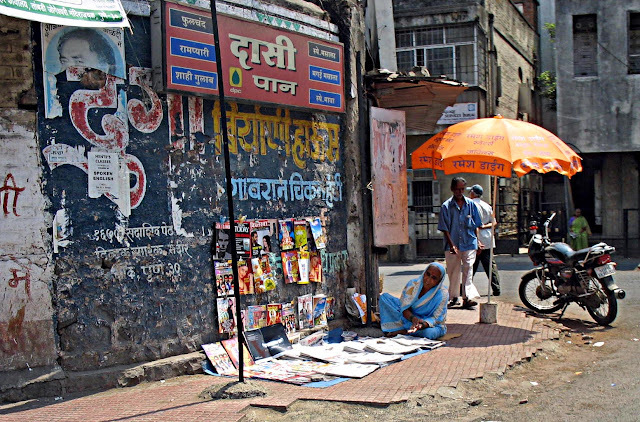 A row of ramshackle shops packed with different types of clothes for men, women, and children line this arterial road in Mumbai. 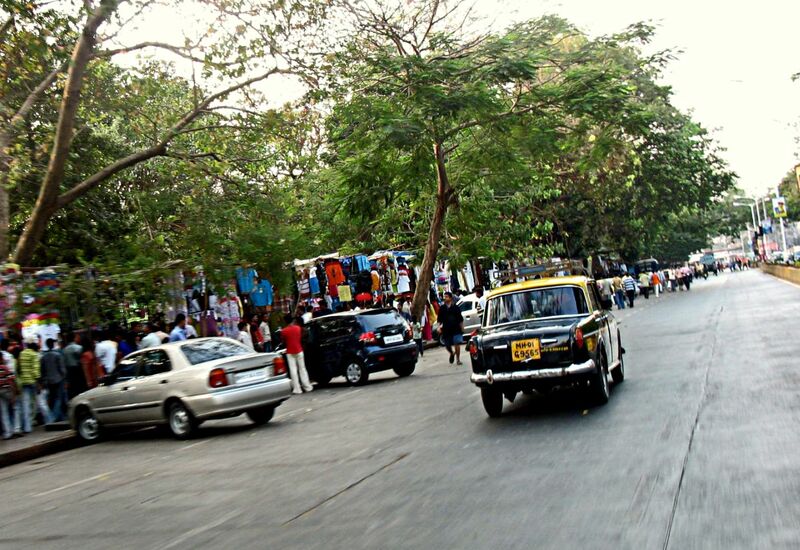 Trees provide the shade as you go from shop to shop. Bargaining is common. Good place to pick up nightwear. A closer look at these shops selling ready-made clothes. Jackets, tops and T-shirts. Shoppers walking along the broad pavement along the shops are Fashion Street. They seem to be pretty satisfied with their haul! 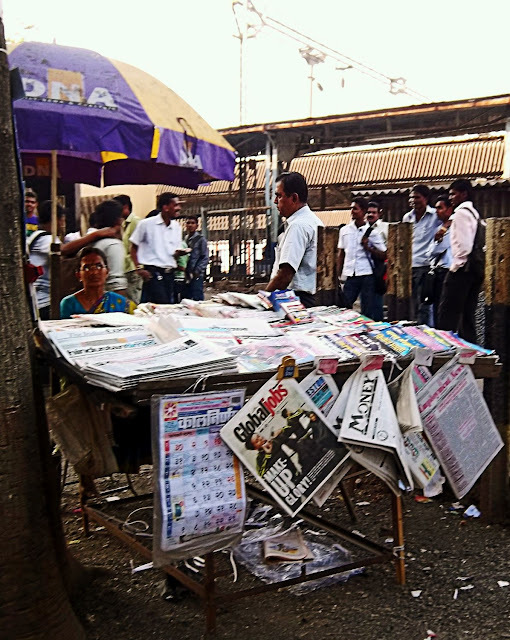 Here are some photos of Automated teller machine or ATM's in Mumbai, India. 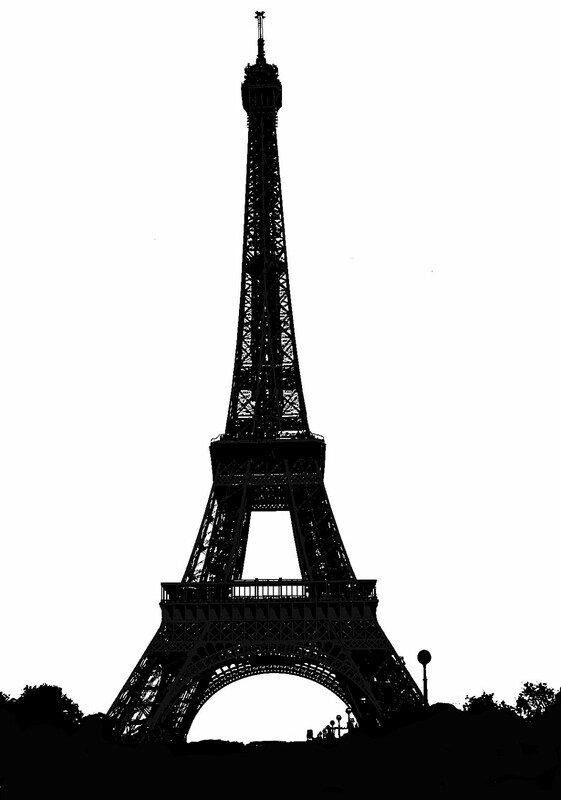 They were invented in the sixties in the United States for ease of getting cash out of banks. 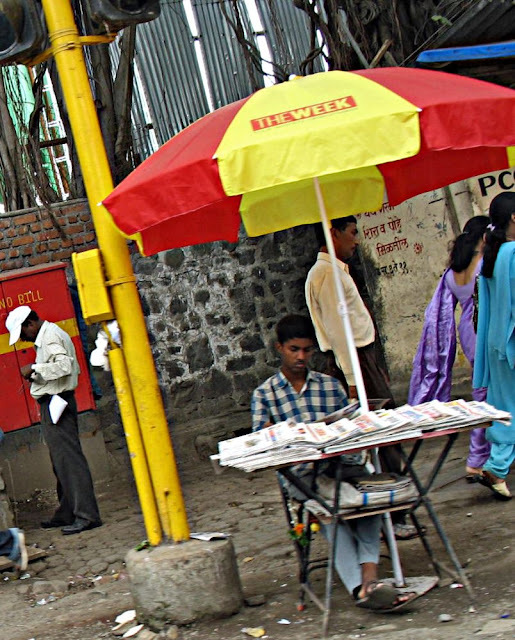 About a decade ago ATM's were not common in India and about 20 years ago they were rare. In the eighties they weren't any as far as I know. Today even the labour class uses debit and credit cards to withdraw money from ATM's. Can't imagine how one got money out of banks without them! Oh yes, take leave from work to go to the bank! Wait in lines for a long time to withdraw cash. And you better not think of a cash advance after the bank's working hours! 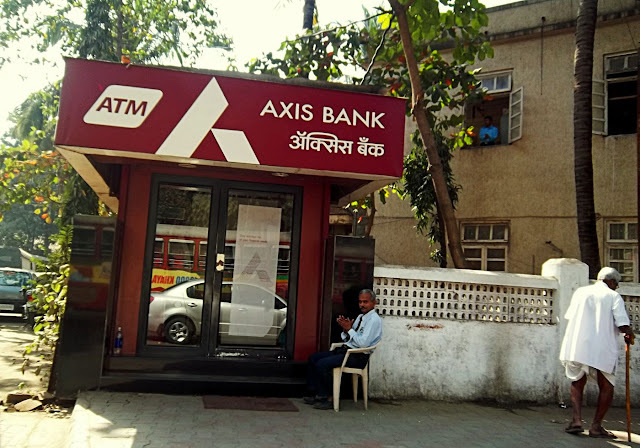 An Axis Bank ATM with a relaxed security guard. A row of ATM's outside a suburban railway station at a parking lot. 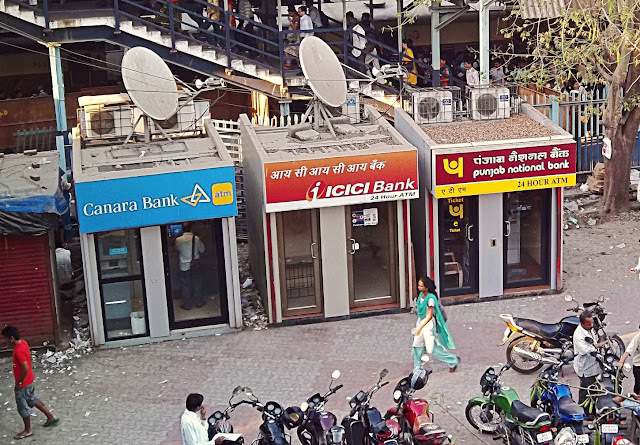 ATM's of Canara Bank, ICICI Bank and Punjab National Bank. Don't see any security here at all. In one of the ATM's you can see a man withdrawing money through the glass door and the other two are empty. If we eat junk, lets admit to ourselves its junk. 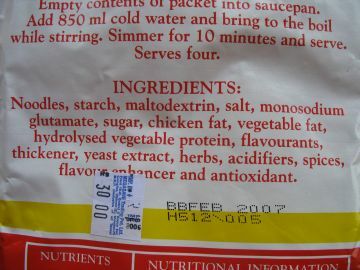 These are some of the actual ingredients of processed food. 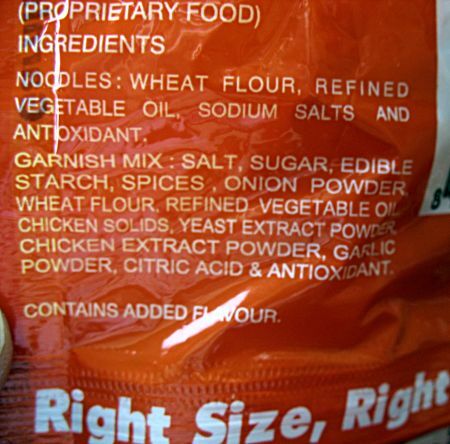 These are close-up photographs of the labels on instant noodles and instant ready-made soups of different brands like Nestle and Knorr. 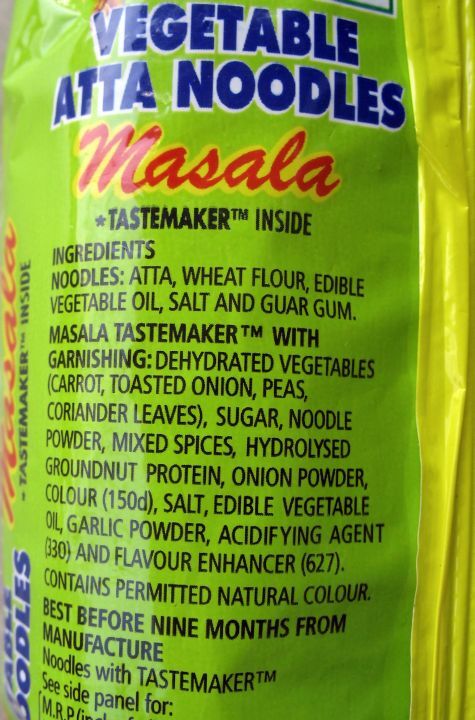 The dal atta noodles call themselves healthy but just look at the ingredients. The word "atta" is almost immediately followed by "wheat flour" which means maida or white refined flour. Followed by edible vegetable oil, salt and guar gum. The garnishing of dal is more for show. The mixed spices, sugar, salt are too much for the serving size. 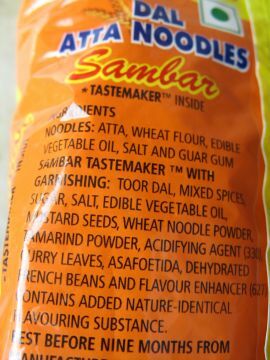 The rest of the ingredients are: wheat (read refined flour or maida) noodle poweder, tamarind powder, acidifying agent, curry leaves, asafoetida or hing, dehydrated vegetables (which hardly have any food value) and then there are flavour enhancers. Sounds quite unhealthy to me. Here are the ingredients of these noodles: wheat flour or maida, refined vegetable oil, salts and antioxidants. 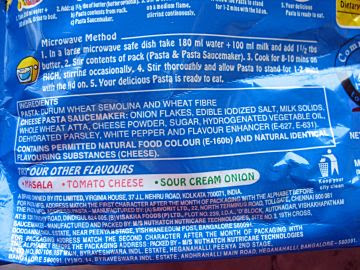 This is the pack of instant pasta which seems a little better as it claims to be made of semolina (rawa) and wheat fibre. 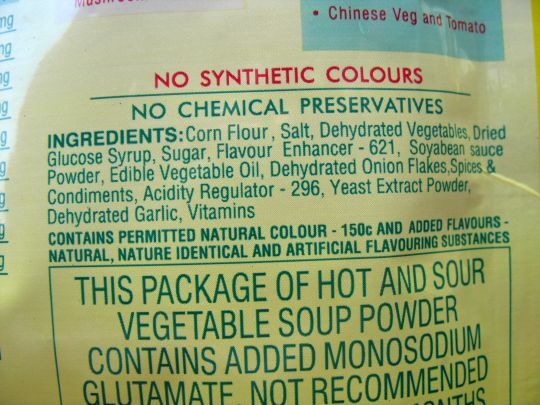 This is an instant soup powder made of maltodextin, salt, monosodium gulatamate (which is not present in all instant noodles), sugar, chicken fat, vegetable fat, hydrolysed vegetable protein, flavourants, thickener, yeast extract, herbs, acidifiers, spices, flavour enhances and antioxidant. Seems like poison to me! If you have to use this stuff add your own vegetable puree to it. These are vegetable atta noodles purportedly made with whole wheat. As in the earlier case the word "atta" is immediately followed by the word "wheat flour" which means white refined flour or maida. 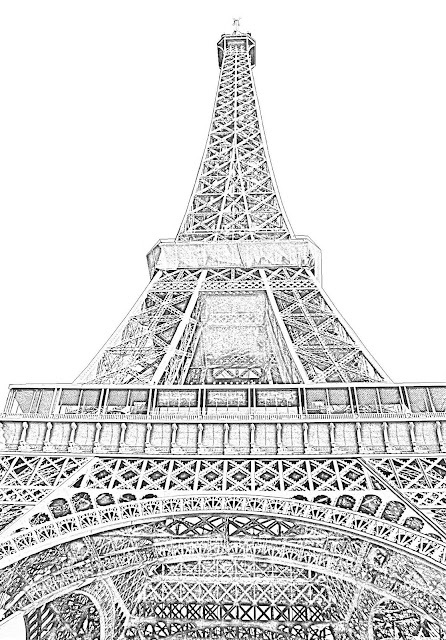 This one has artificial colour as well. This packet of hot and sour vegetable soup says it has no synthetic colours, but it will have colors, though of the natural variety. However even these are chemicals as it is all processed. Ingredients: Corn flour, salt, dehydrated vegetables, dried glucose syrup, sugar, flavour enhancer, soyabean sauce condiments, acidity regulator, yeast extract and dehydrated garlic and vitamins. The only think I like about it is vitamins because at least they are vitamins. Whether the actual food has any vitamins we don't know. Most likely not. Best to add your own finely chopped vegetables. Different types of grass is dried, and stored and is used as animal fodder for livestock like cattle, horses, goats, and sheep eat hay. Rabbits and guinea pigs or pigs also munch hay. These are photographs of haystacks in rural India. 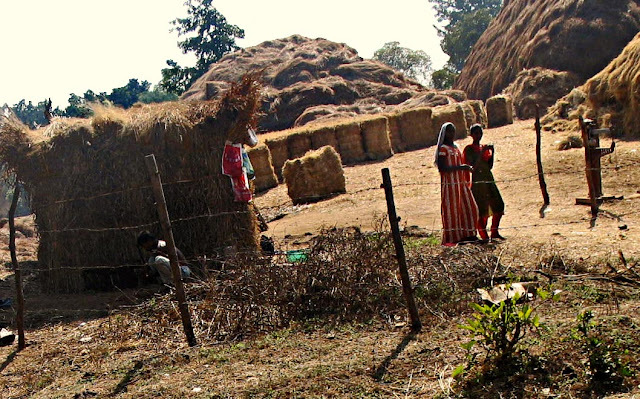 Both men and women work on cutting the grassy vegetation, drying it in the sun and then storing in heaps. Later it is packed is made into compact hay bales with the use of machines. A large heap or hillock of hay and to the right you can see bales of hay made by a machine in the background. The machine that makes bales out of hay can be seen to the right of the picture, in the background. 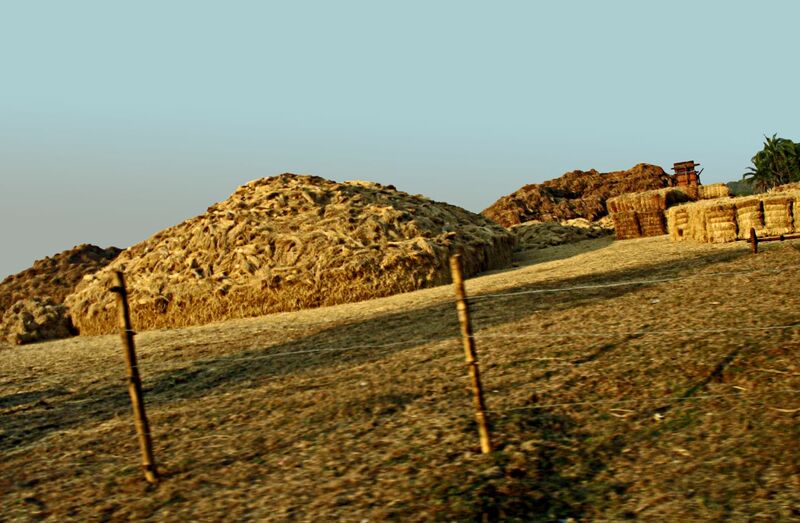 A neat row of bales of hay next to a large heap of hay. Hay stacks in the background and cattle in the foreground. 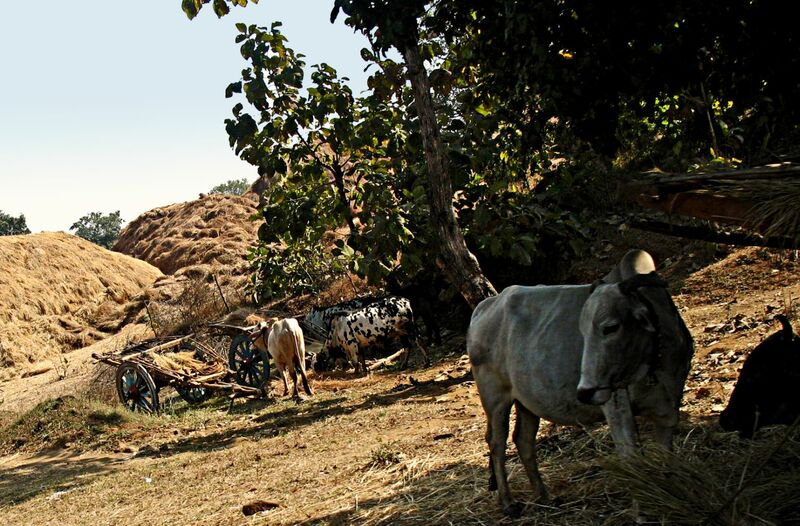 The cattle pulls the bullock carts which transport the hay. Hills of hay and small rectangular hay bales lying next to them. 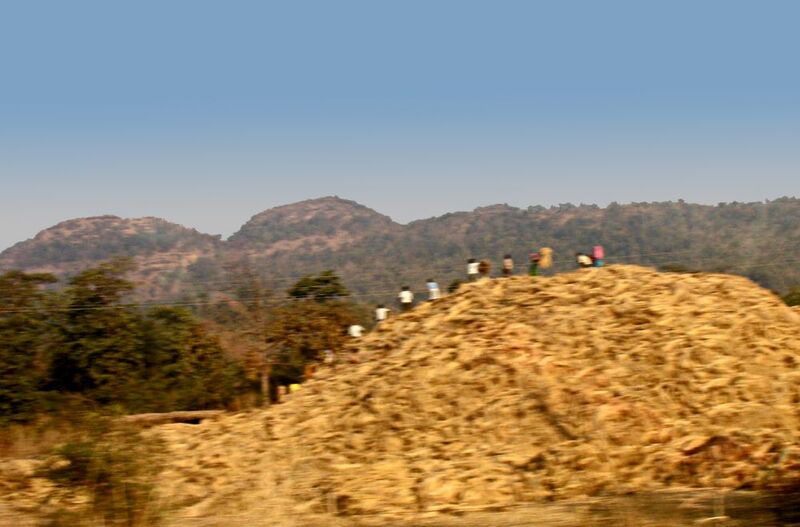 A few workers, men and women are also in the picture. A long line of people positioned on a hay stack, passing hay to each other for storage. 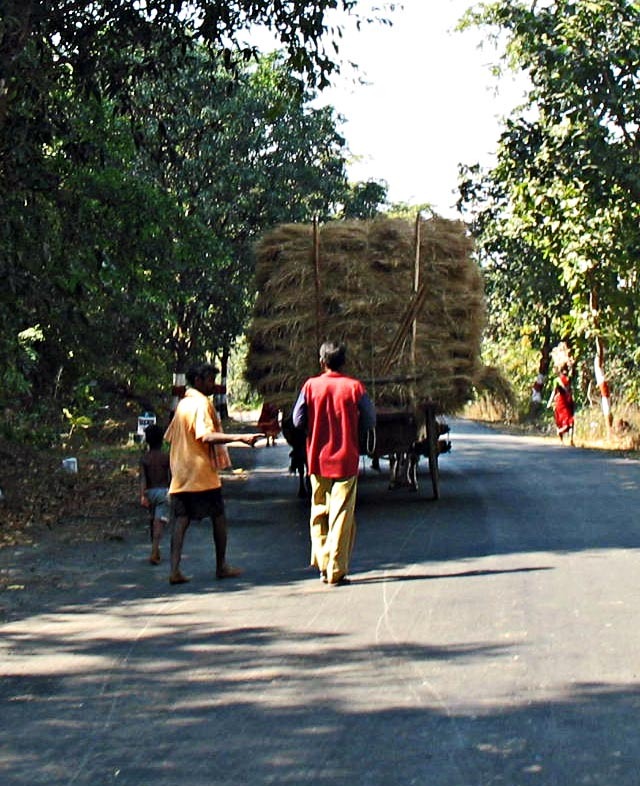 A large load of hay being transported by a bullock cart or bailgadi. 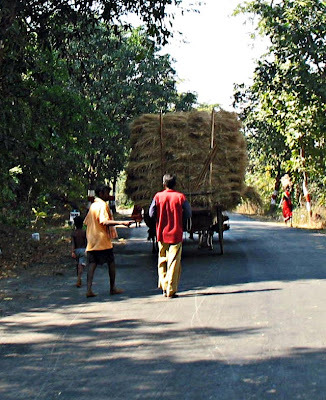 More pictures of Rural India. Saw this in a mall in either Hong Kong or mainland China. 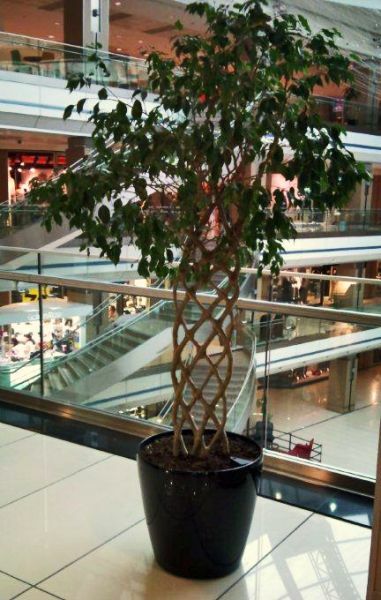 It was unique and someone must have taken great efforts to weave a plaited design on to a plant. Bonsai is an art form and this is one of the most interesting pieces I have seen. 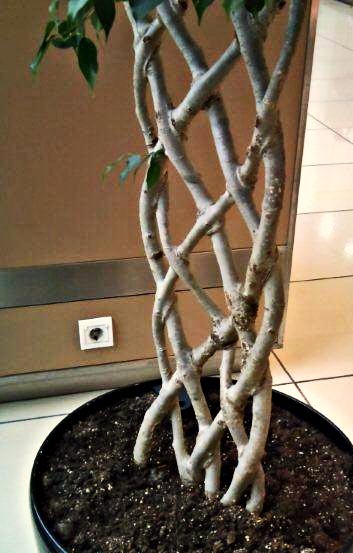 Many bonsai enthusiasts attempt to make braids or plaints from their plants but it requires a lot of patience. A closer view of the plant confirms that this is real, and not artificial! 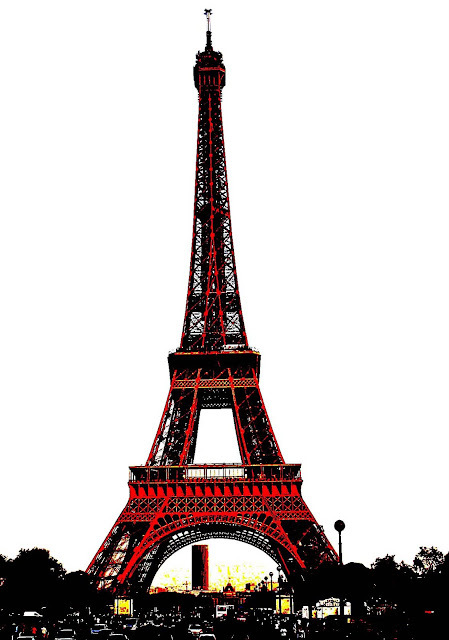 Imagine a church and Mosque combined into one! Well, that is what Hagia Sophia (a churchmosque) is all about. Well, to be precise it was a church, then a mosque, and has now been made into a museum in Istanbul, Turkey. It is magnanimous of the Turkish people and government to have stopped it from being a mosque, considering that it was originally a church. By making it a museum they are showing their sense of fairness as the mosque had been forcibly made in the premises of the church. It was a church from 360 B.C. to 1453, and became a mosque from 1453 until 1931. In 1453 Sultan Mehmed laid siege to Constantinople, "driven in part by a desire to convert the city to Islam." 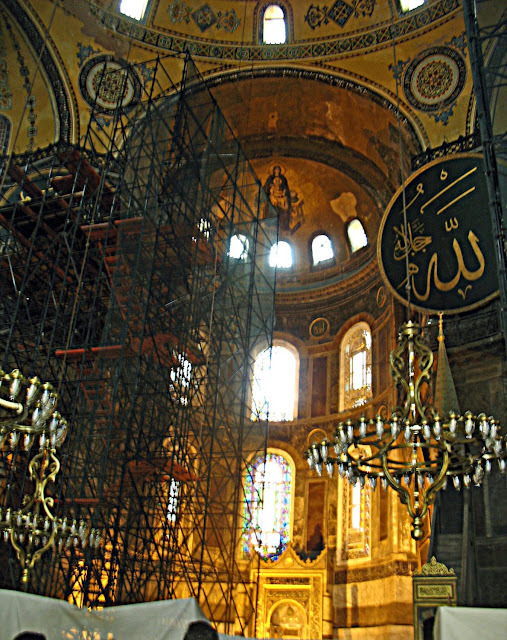 Hagia Sophia has a huge dome, typycally Byzantine Christian architecture and was the largest cathedral in the world for nearly a thousand years. 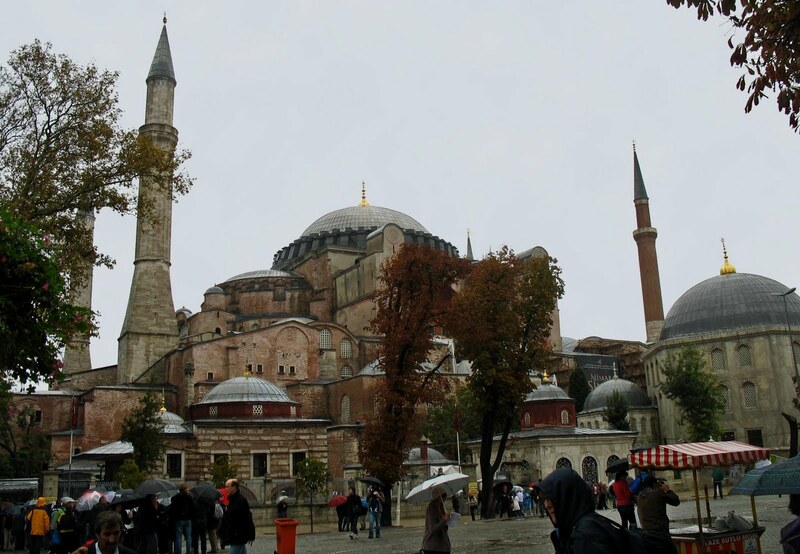 As a mosque it was the principal mosque of Istanbul for almost 500 years. Today it is a tourist spot. This is a photo of the exterior of the Hagia Sophia. A shot of the interior, the main hall. There was some restoration work going on but here you can see the symbols of both Christianity and Islam. A painting of Christ at the top of the image and an Islamic symbol to the right of the picture. Here is a photograph of the elaborately carved and painted interiors. 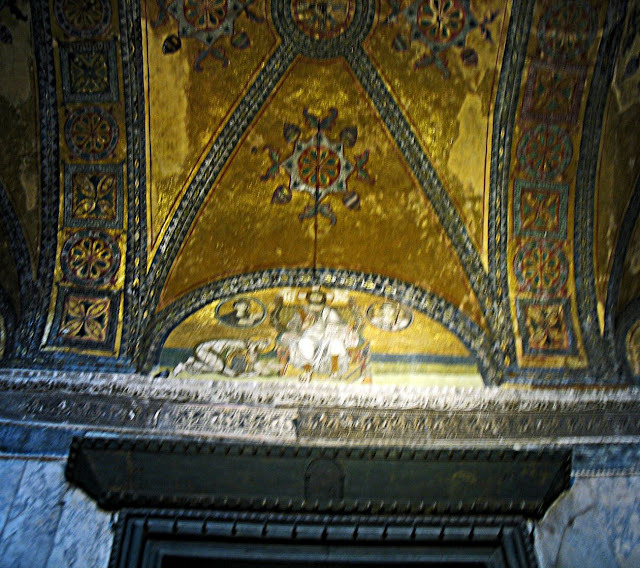 Paintings of Christ are visible. 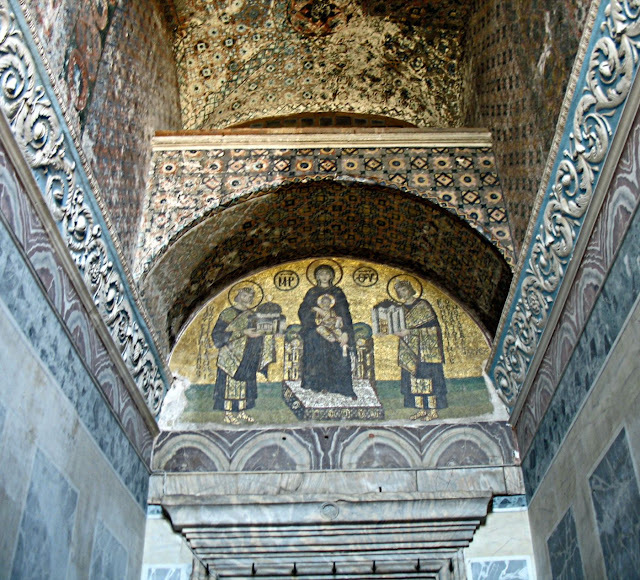 Another image of the inside of the domes and a small image of Jesus Christ. There are also a lot of pictures of the Sistine Chapel in Vatican City in Rome on this website. More pictures of beaches: Daman Beach Scenes - Black Sands or Nature headers of beach scenes or Beach Scenes of different beaches or Beach Scenes for backgrounds or try the label Beaches for all photographs with a beach. 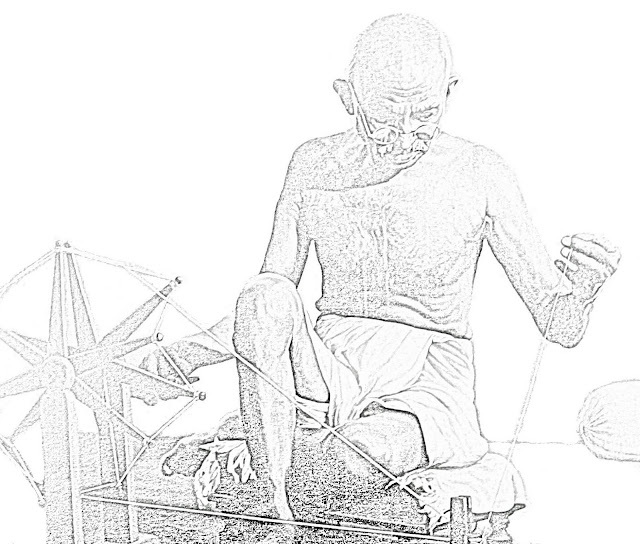 These are pencil drawings and sketches of Mahatma Gandhi at the spinning wheel and also separate sketches of his spinning wheel and his room at Gandhidham. 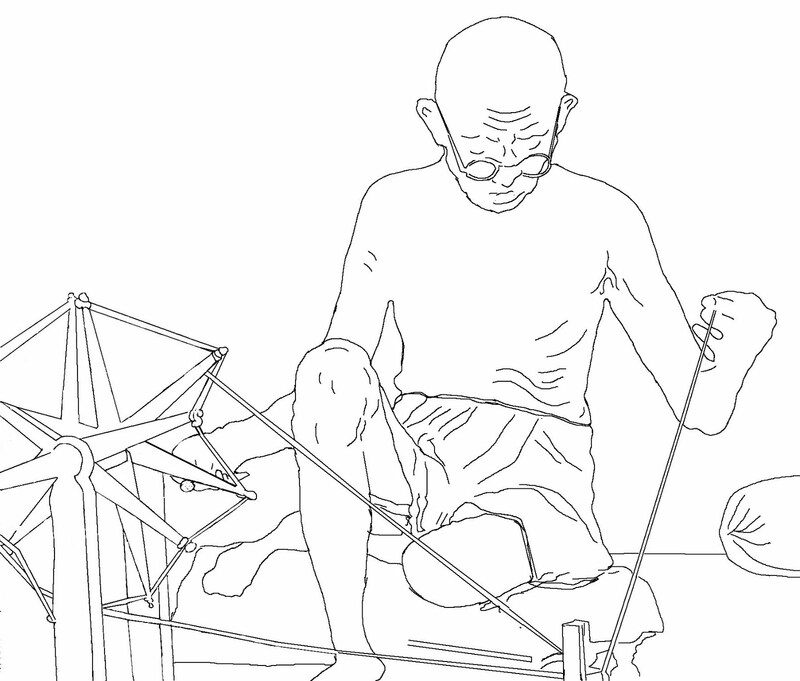 The first two images, the drawing and sketch of the Mahatma at the spinning wheel, is based on a photograph by me of a painting of Mahatma Gandhi at Gandhidham. Others, that of Mahatma Gandhi's room and spinning wheel are photographs shot at Gandhidham at Ahmedabad. Sketch of Mahatma Gandhi's room at Gandhidham showing his desk, his mattress and spinning wheel. 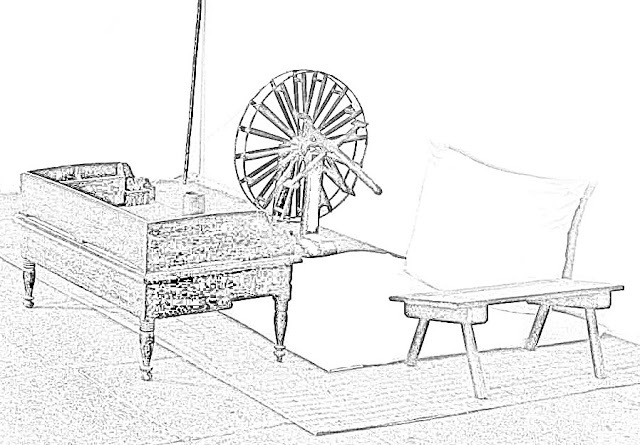 This is a sketch of Mahatma's Gandhi's personal spinning wheel kept at Gandhidham.